Wirt will be the first ever RuneRebels player to achieve 99 agility! Come celebrate with the community on this acrobatic achievement! The event will start out at Jolly Boar Inn, Wirt's most memorable place! Why the Jolly Boar Inn? We will traverse through Gielinor all the way to the Gnome Stronghold agility course where the magic will happen! 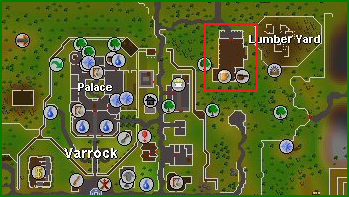 We'll also head to Lumbridge to watch the first and only Agility skillcape be worn! Don't worry about having the magic level requirement for a Lumbridge teleport, we will supply those teleother teleports! That's right! A costume contest... with rewards? OMG. You better not miss this! The rules are simple. Bring only one costume to the party and Wirt will select the winners by whichever he likes the most! The categories are: Creativity, Romantic, & Intimidating! Go wild on this because the #1 on each category gets a reward! Don't spoil your costume! Wear it only during the Costume Contest part of the event and after. What's a RuneRebels event without the Fight Caves! You can earn the beautiful reward of some... tokkul! Buttttt wait there's more!! Each Fight Caves winner gets 50k coins for a maximum of 10 games! But don't win too much, try to give others a chance if you win 3 times! Please comment if you are attending! The spoiler contains a countdown and different time zones. Perhaps other games could be considered, rr pop quiz? Emote springers (basically first person to do the emote).